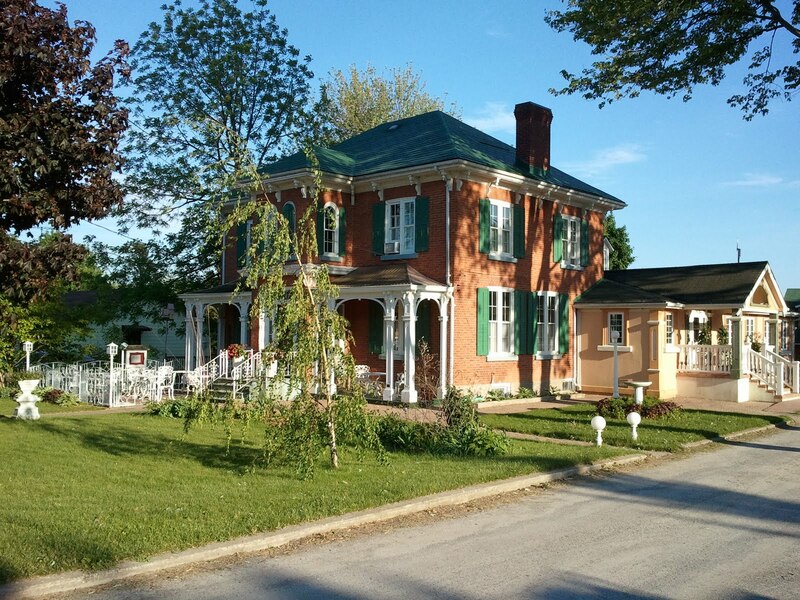 This past Friday, we dined at Angeline’s Restaurant in Bloomfield, a short drive outside of Picton, Ontario and in the heart of Prince Edward County. We were in the area because we had decided to come to Picton for the Great Canadian Cheese Festival’s Cooks & Curds Cheese Gala, taking place the following night. Once you cruise through the photos of this post, you might think I am about to wax poetic about the delectable morsels that composed every plate put before us. 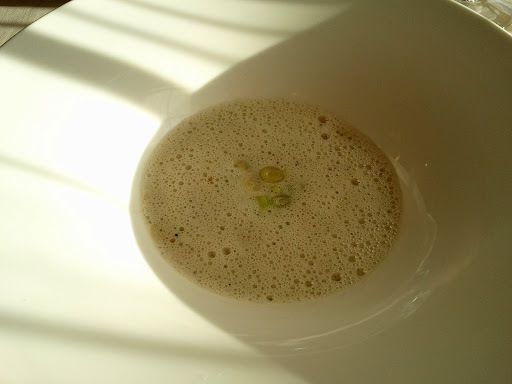 Although I do have high praise for our dinner, actually what lingered with me long after was the service, the attention to detail and the warmth. Angeline’s is all about fine dining. It is a place for special occasions. For special dates. For any kind of special celebration. And there is an expected level of fine dining service that goes with such a place. They had all of that down pat. But there was something more than the meticulous proper formalities of eating with linens and fancy stemware. Everyone who interacted with us seemed genuinely interested in the success of our visit. They were engaging, warm and thoughtful. We felt like we were the only people in the place. The only people that mattered to them in that moment. A total awareness in a very, very caring way. Caring would be a good word to use. From the first greeting when we came in the door, there was a ‘hello and welcome’ that had a tone of caring. When we were placed in one of the 3 dining areas, it was with caring. They wanted to find the best spot for us. That feeling of wanting to make sure we were content and that everything was going well continued on throughout the dinner service. As to be expected, the water was topped, the bread replenished, we were checked in on regularly, and the pace of the meal set to perfect time. And clever them, that caring feeling made us want to stay a bit longer. Not rush our departure from a wonderful evening. It is this kind of cozy that ‘tricked’ us into ordering dessert, even though we were full! One can only guess what could be the secret to their ‘warm, caring, feel-like-family formula’ but I suspect it has everything to do with being a family-run business. First established by Monika and the late Willi Fida in the 80’s, Angeline’s Restaurant and Inn is now run by their children, Alexandre and Melanie. Monika and Willi set the tone and their young protégés know exactly what has continued to make Angeline’s a place of memories. I think this is the catch – their formula isn’t so much about WHAT they do, it is about WHO they are. It was Michael Potters that had us interested in trying Angeline’s Restaurant. I had remembered that he had participated in the Gold Medal Plates competition in Ottawa in 2010 and hailed from Picton. Rereading the post of an interview done by ‘Whisk: a food blog‘, I knew we had to give Michael Potters a try. Not long after the competition last November, he moved from his restaurant Harvest to be the Chef de Cuisine at Angeline’s. 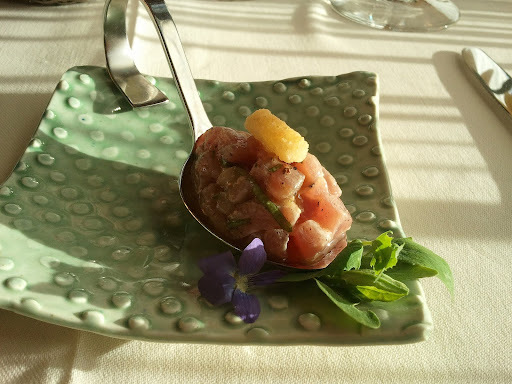 The food philosophy of the Fida family and that of Michael Potters are very much in harmony. 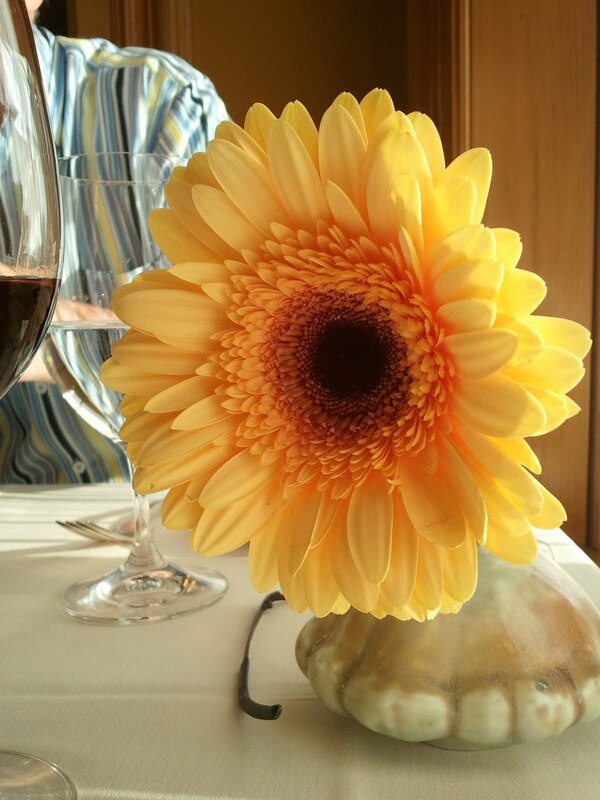 They focus on farm-to-table cuisine by supporting local farmers and food purveyors as much as possible. And now our gastronomic adventure unfolds. After some deliberation, we were finally settled in by a window where the warm evening’s sun was slowly making its descent across our table. Our growing hunger was calmed with an amuse bouche and a basket of fresh bread. They finish baking the Ace Bakery bread in-house. We had a combination basket of warm white baguette and hearty multi-grain. The menu was full of temptations that could fluster even the most decisive. I decided my dinner would embrace two appetizers, knowing that more good eating awaited us in the days ahead. The mister went for just a main. Later on in the weekend we came across the Spring 2011 issue of County & Quinte Living. 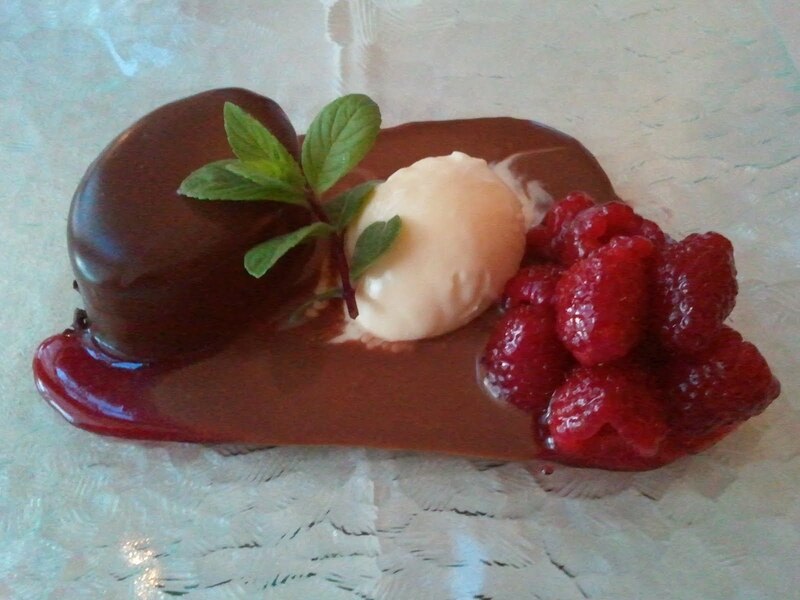 Much to our delight, we found an article on Angeline’s Restaurant by Cynthia Peters called Putting Passion On Every Plate. Included in the article is the recipe for my soup! 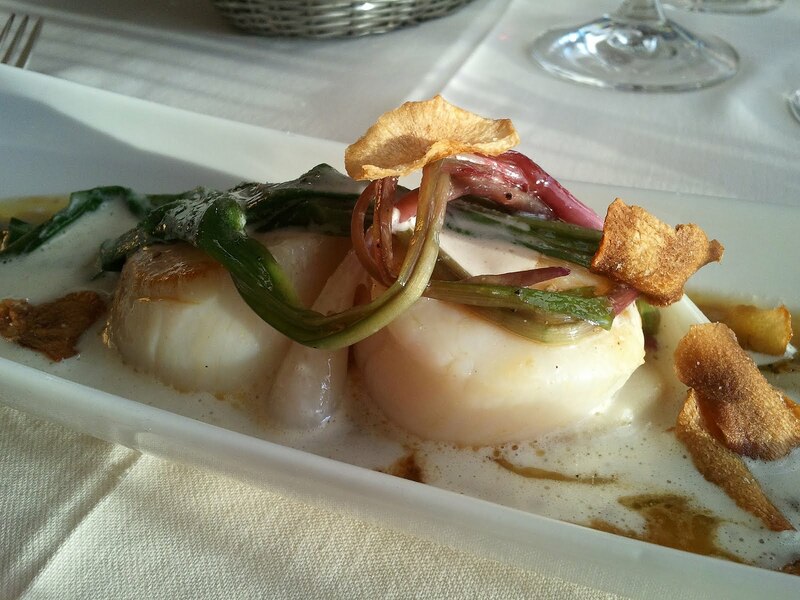 It was the ramps that drew me to my second appetizer dish but I was wowed by the succulence of the two meaty scallops. Scallops are so rich and I was glad that I went for a two appetizer combo dinner. 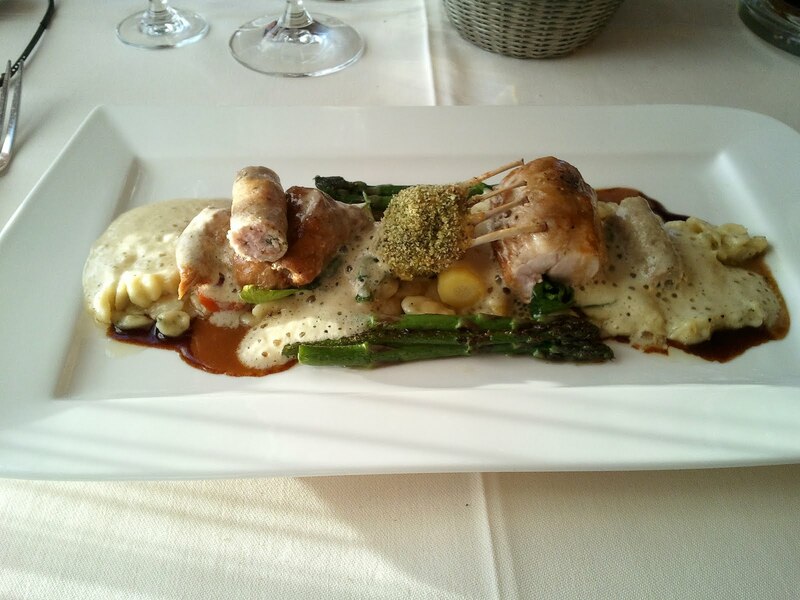 The mister’s rabbit dish was a work of art. The layers and layers of detail involved in preparing this dish almost makes it sinful to disassemble. He loved every bite. 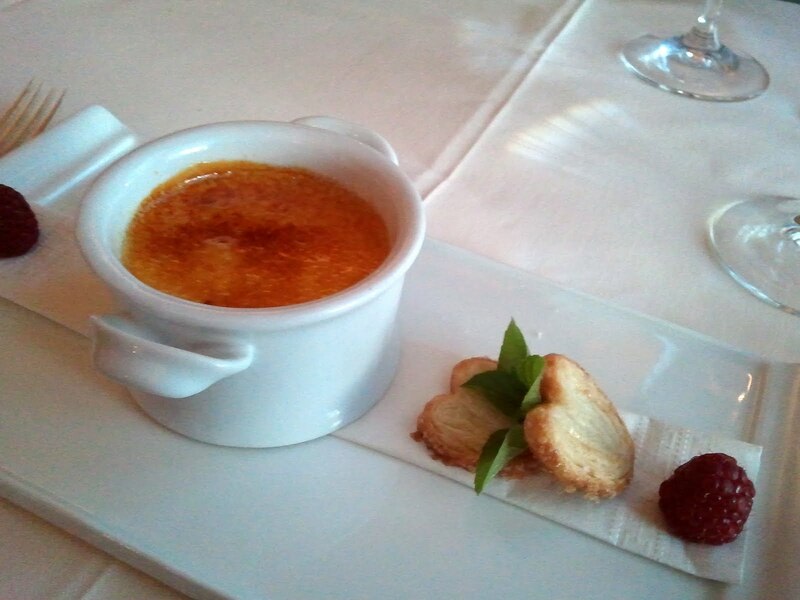 So predictably, the mister went for the chocolate focused dessert and I went for the crème brulée. 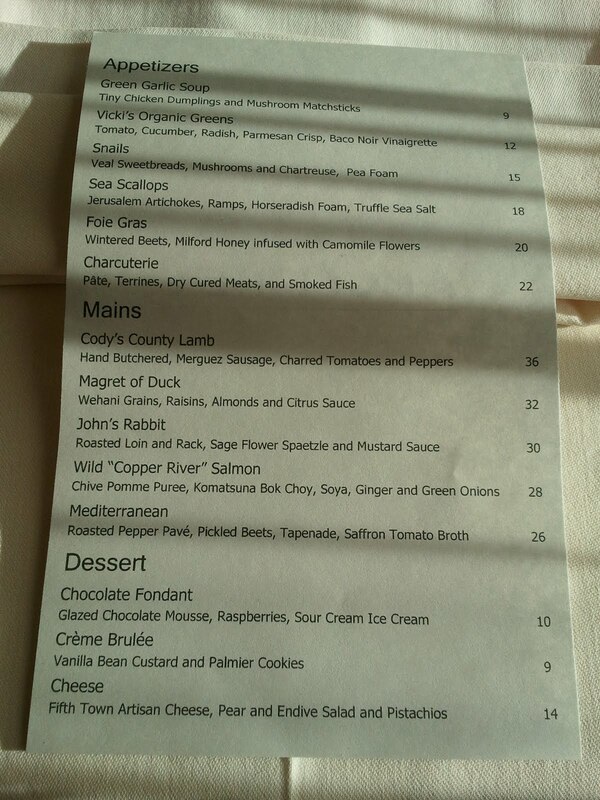 I would be remissed if I didn’t tell you that the food was some of the best that we have had. The Fida’s made a wonderful decision to have Michael Potters on their team. His kitchen creations show that he was a worthy Gold Medal Plates contender. I could seriously consider doing the 3 hour drive back to The County just to have his food. Interestingly, we were building our foodie excitement for the next night’s gala, but Angeline’s may have stolen the show.